AUGUSTA, Ga. — Bryson DeChambeau nearly aced the 16th hole on Thursday at Augusta National. Following his first round at the Masters, his 66 good enough for a share of the lead, DeChambeau had a shocking admission. Although DeChambeau’s green-jacket aspirations quickly dissipated—he followed his six-under Thursday with a 75 and 73—he’s at least taken care of that “never ever” claim. 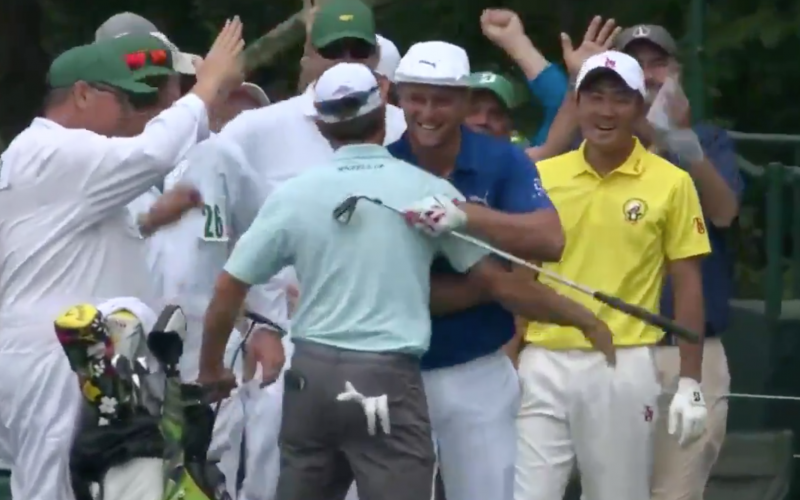 Yep, that is the celebration of a man who made his first ace. Granted, the 16th has facilitated more than its share of eagles in the past decade, with nine now since 2010. But there are enough stormy clouds in the Augusta area; who are we to rain on DeChambeau’s parade?